Much as people can exchange information instantaneously in the digital age, bacteria associated with humans and their livestock appear to freely and rapidly exchange genetic material related to human disease and antibiotic resistance through a mechanism called horizontal gene transfer (HGT). In a paper appearing in Nature online on October 30, 2011, researchers — led by Dr. Eric Alm of MIT's Department of Civil and Environmental Engineering and Department of Biological Engineering — say they've found evidence of a massive network of recent gene exchange connecting bacteria from around the world: 10,000 unique genes flowing via HGT among 2,235 bacterial genomes. HGT is an ancient method for bacteria from different lineages to acquire and share useful genetic information they didn't inherit from their parents. Scientists have long known about HGT and known that when a transferred gene confers a desirable trait, such as antibiotic resistance or pathogenicity, that gene may undergo positive selection and be passed on to a bacterium's own progeny, sometimes to the detriment of humans. For example, the proliferation of antibiotic-resistant strains of bacteria is a very real threat, as seen in the rise of so-called "superbugs." But until now, scientists didn't know just how much of this information was being exchanged, or how rapidly. The MIT team's work illustrates the vast scale and rapid speed with which genes can proliferate across bacterial lineages. "We are finding [completely] identical genes in bacteria that are as divergent from each other as a human is to a yeast," says Dr. Alm, the Karl Van Tassel Associate Professor. Bats in North America have been under attack. Since 2006, more than a million have been killed. Little has been done to save them, because there has not been enough evidence to implicate the suspect—until now. 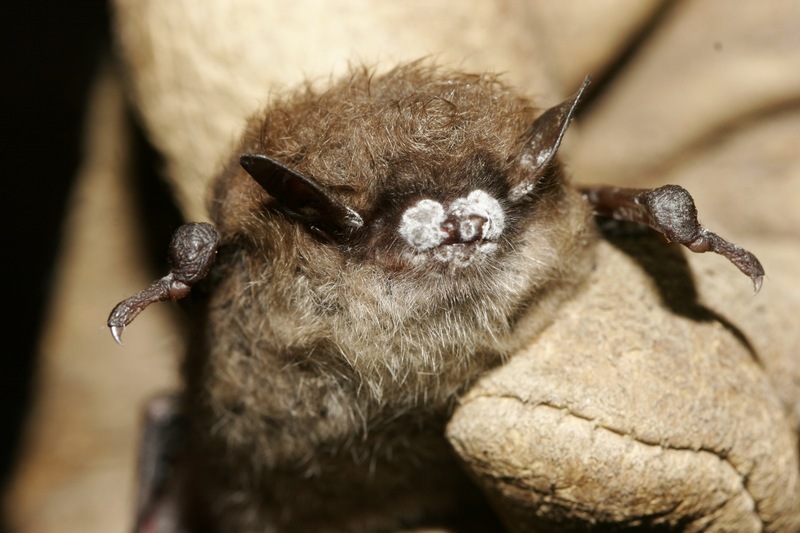 A new study has discovered that the fungus Geomyces destructans is the causal agent of White-Nose Syndrome (WNS), the fungal disease decimating the bat population. The study is coauthored by Dr. Justin Boyles, a post-doctoral research associate in ecology and evolutionary biology at the University of Tennessee, Knoxville, and a team led by Dr. David Blehert at the U.S. Geological Survey (USGS) National Wildlife Health Center together with Jeffrey Lorch, a graduate student at the University of Wisconsin, Madison. WNS is so dubbed because affected bats develop halos of white fungus around their muzzles. The symptoms of WNS include loss of body fat, unusual winter behavior, lesions to the wing membranes, and death. The findings were published online on October 26, 2011 in Nature. G. destructans has been thought to be the likely culprit, because the skin lesions characteristic of the disease are associated with colonization of the fungus. Still, the role of G. destructans in WNS has remained controversial, because evidence proving the fungus as the primary cause of the disease was lacking. "Many assumed that fungal infections in mammals only occur if some other pathogen has already weakened the immune system," said Dr. Boyles. "Additionally, the recent discovery that G. destructans commonly colonizes the skin of bats in Europe with no major die-offs generated speculation that other unidentified factors are the primary cause of WNS." To put the speculation to rest, the researchers set up an experiment to see if G. destructans causes WNS.